One is in a cabinet fixed on the outside corner of the village hall. The other is fixed to the wall of Simon Hall on the left as you enter the industrial estate. The Village Hall is well signed from Main Street opposite The Bell Inn. The defibrillator is on the left hand side on the first corner of the Hall. 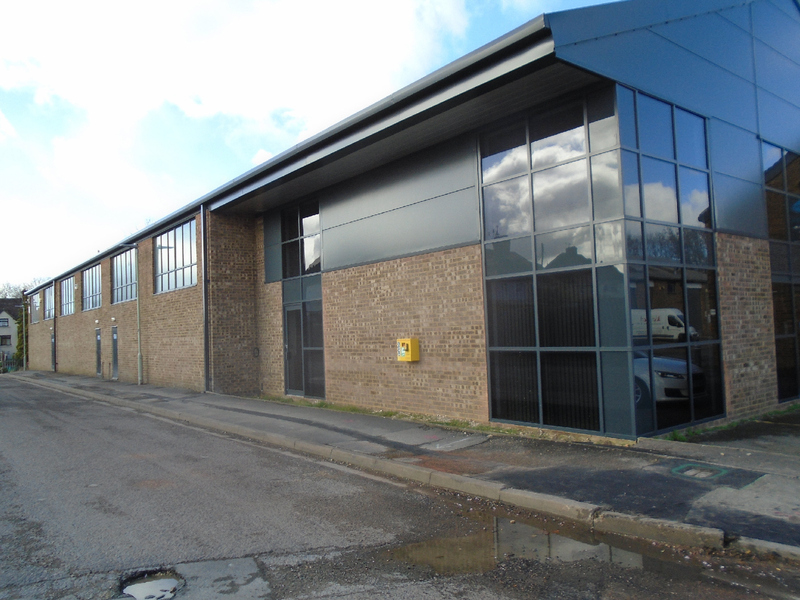 The industrial estate is a turning to the right down Badsey Lane just before the railway bridge. How to access either yellow defibrillator. 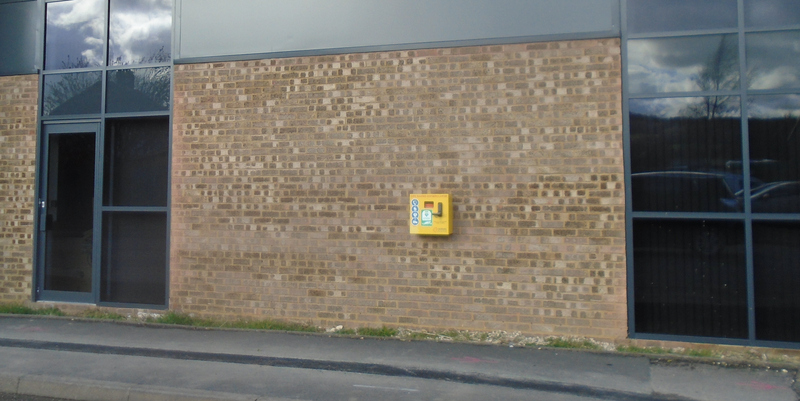 The Willersey Defibrillators are in cabinets fixed on the outside corner of the Village Hall and on the wall of Simon Hall. To remove the defibrillator from the cabinet you must DIAL 999 to obtain the code. The two defibrillatots have the same code. If you do have the misfortune to have to use either defibrillator press the code into the key pad slowly and deliberately. If someone collapses with a Cardiac Arrest near you, then speed of response is vital. Doing nothing will mean the person will die in a short time. Doing something will give them a chance of survival. The faster you respond, the better that chance. Do not hold back. Here is a succinct summary of what to do ( easy to remember as DoctoRS ABCD ). Here is the chart above as a pdf file for you to download ( and print ) on your computer. 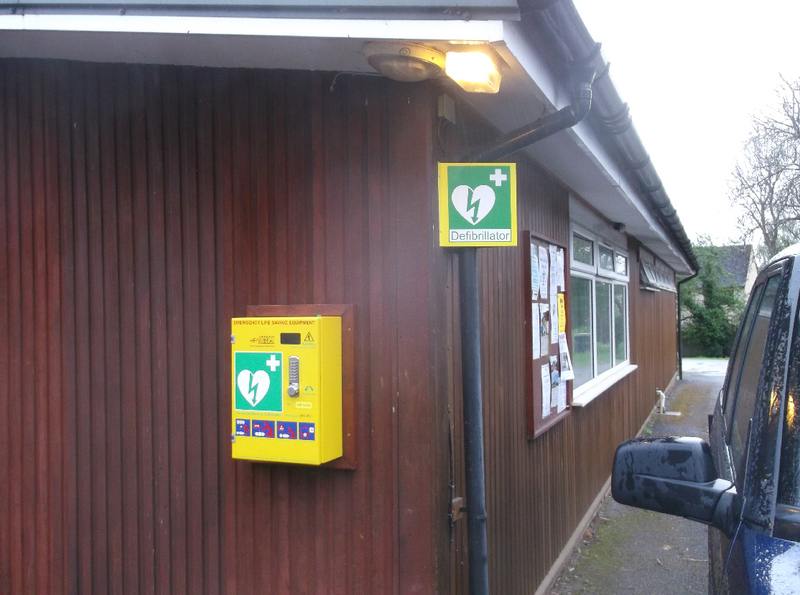 The Willersey Defibrillators are in secure cabinets fixed either on the outside corner of the village hall and on the wall of Simon Hall. You cannot fail to see them on the left as you approach them. This also ensures the emergency services are on their way to the scene. The code will be a letter C, followed by a four digit code. Enter this on the keypad to remove the defibrillator. 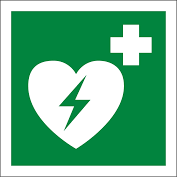 Once you are with the casualty, open the defibrillator to start it and follow its verbal instructions. It is totally automatic and will guide you through the whole process. Do familiarise with the instructions here so that you can easily respond if you are unfortunately near to someone with cardiac arrest. After you have used the defibrillator its pads will need changing. In the unlikely, but possible, event that its is needed again soon, please dial Bill Payne on 01386 838368 or 07977844893 and he will make certain that the pads are changed. There are three other defibrillators close to Willersey. Two are on the Farncombe Estate and one at the Dormy House Hotel. 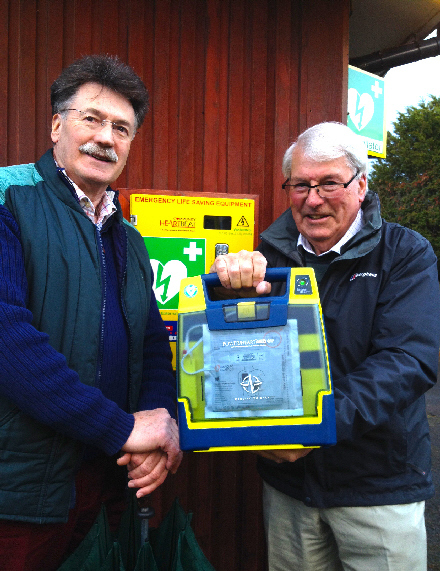 Here is an inspiring story about one of the Farncombe Estate defibrillators. There is also a debrillator in Weston sub Edge. If someone is dying, then any harm you may do to help them is trivial by comparison. Once you have dialled 999 and follow their instructions, then you are covered by their insurance. Its hard work doing chest compressions at two per second without stopping. It may help to sing a fast beat song such as Nellie the Elephant, humming The Archers Theme tune or even Staying Alive! Arrange for a co-ordinated, smooth transfer to someone else if you have help. There are several reasons why people collapse. They include fainting, having diabetes or a heart attack. Cardiac arrest is sudden collapse with no response to any stimulus - even potentially painful. The figures vary but in the UK at least 30,000 people suffer a cardiac arrest outside hospital every year. A victim's chance of survival decreases by around 10% per minute following a Cardiac Arrest. Thus their possible chance of survival is only for 8 to 10 minutes if nothing is done after the Cardiac Arrest occurs. It is vital that emergency medical treatment begins as soon as possible. In villages such as ours, an ambulance may not necessarily arrive in this time, hence the need for locally available defibrillators. 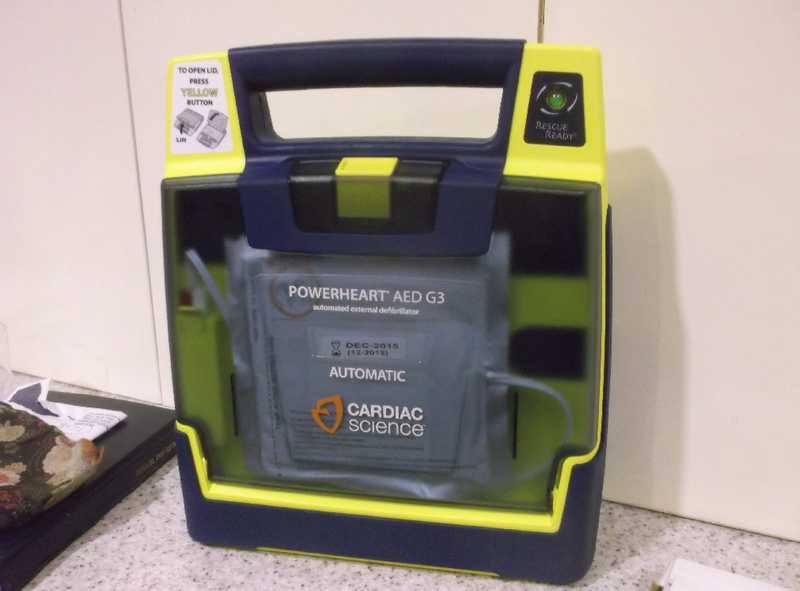 If defibrillation is delivered promptly, survival rates as high as 75% may be achieved. Thank you to various groups, organisations and individuals in the village who provided the funds for the defibrillator. 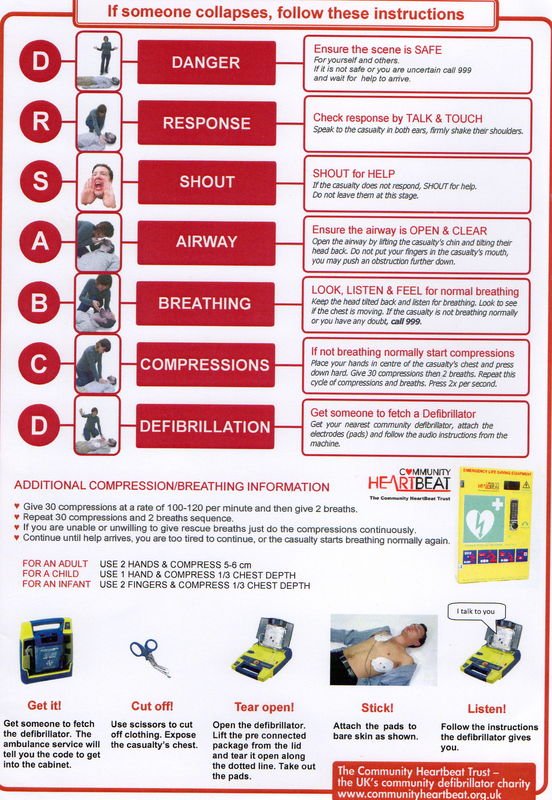 some common FAQs and a Community Heartbeat Trust leaflet to download. There is currently a campaign underway to improve ambulance response times locally. Do find out more about our defibrillator by visiting the Community Heartbeat Trust website. Two other conditions which benefit from rapid recognition and treatment are Sepsis and Meningitis. Do read this first aid advice from St John Ambulance before you need it. There is now an array of numbers for emergency and non-emergency help in the UK. In the UK we are familiar with 999 as our emergency phone number to access all the emergency services. The single European emergency number is 112. When you call 112 you access the emergency services in the same way as 999. 112 will work across Europe but not in every country world-wide so do always check when travelling how to access the emergency services. You can call 111 when you need medical help fast but it�s not a 999 emergency. When you phone 111 your call is handled by a health adviser who can advise on what treatment you need and how to access it. They are able to advise on the local service that would best meet your needs. If the advisers think you need an ambulance they can arrange one for you. 111 is a 24/7 service. Please see here for more information. Calls to this number are free. 101 is for non-emergency calls to your local police force. You can use this number to report incidents to your local police force that don�t require an emergency response. Please see here for more detail. There is a 15p charge for these calls. The Fire Service does not have a non-emergency number. They no longer deal with cats in trees (you need the RSPCA for that one, or a tin of tuna at the bottom of the tree!) so the view of my local fire service was that �if you need us you need 999!�. If you live, or are travelling, outside of the UK ensure you know how to access emergency assistance.